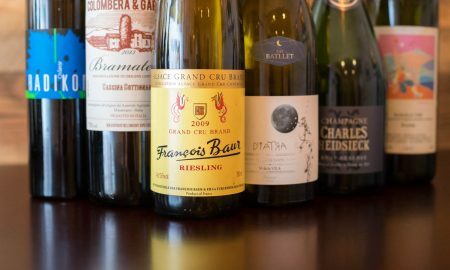 My annual list of the top 10 wines has a noticeable trend this year: namely, it is comprised entirely of French and Italian wine. This wasn’t deliberate, but it was also not surprising. No matter how many times I ventured off to Chile, Spain, California or Oregon through the contents of a bottle, I kept coming back to France to Italy. Maybe it was a desire to become an expert on French and Italian wine; maybe it was because I visited both this year and I wanted to mentally return every night; or maybe these wines are just better. It is hard to argue with that when you have an aged Barolo or a vintage Champagne in your glass. But there is another notable thread that unifies these 10 wines: they all enhance a variety of flavors, textures and sensations at the table. That’s what matters most to me, and if you read my site often, you’re probably a kindred spirit in that regard. A final note: the top 10 wines were all served with a meal and shared by the bottle with friends and family. None of them were tasted at a large tasting panel. There were also several incredible sips of wine this year — barrel tastings, winery visits, etc. — and I’ve included the best of that experience at the bottom. But once again, the true test of a great bottle of wine is how it performs with food, and how it shape-shifts over time. 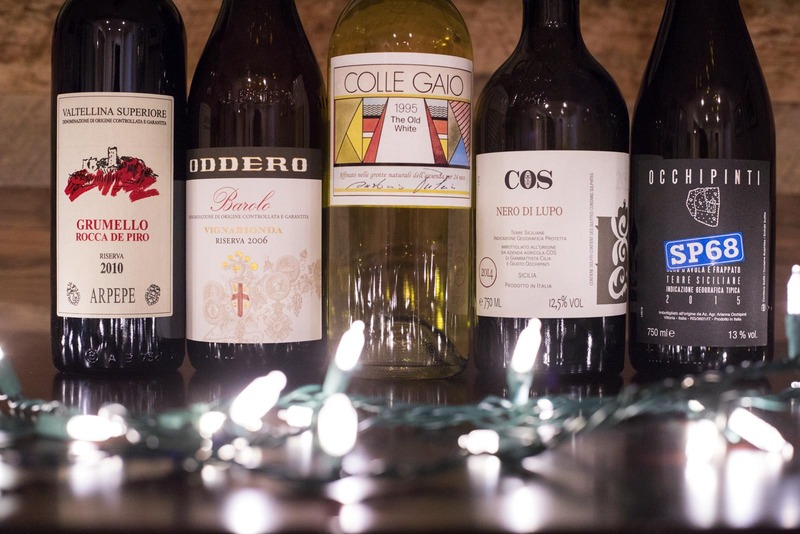 Despite including two Nebbiolo and the two wines from Vittoria, Sicily (which, in fact, share a common family heritage through Giusto and Arianna Occhipinti), these 10 wines are all completely different. Seek them out. Uncork them often. This is the good stuff. Why it’s an important wine: If ever there was a Chenin Blanc to seduce you, this would be it. Chenin Blanc from the Loire River Valley had been on my radar for years, and my efforts to self-educate on this wine — i.e. buying it and ordering it on my own with and without professional guidance — had so far shown it to be a rather odd duck. It just didn’t sit well with me. That is, until I gave it one more go with the 2013 Château du Hureau Argile Saumur-Champigny Blanc. What a wine. I fell in love with its aromas, which were redolent of pear skin, beeswax, marzipan, honeysuckle and oranges. A rare “royal flush” wine on the standings: five stars for all three criteria. Way to go Château du Hureau … you finally showed me why Chenin Blanc is so damn gorgeous. Read more about this wine. Why it’s an important wine: All the finesse of Côte-Rôtie, none of the swagger (and 1/3 the price). I like my Syrah to be like a wild animal: unpredictable, lacking sweetness, and embracing speed and precision (i.e. acidity) over useless power (i.e. fat swaths of alcohol). This usually points to Côte-Rôtie, Hermitage and some Cornas, but I can afford roughly one of those per year (and that’s only if I don’t spend my reserve buckaroos on my Barolo collection). 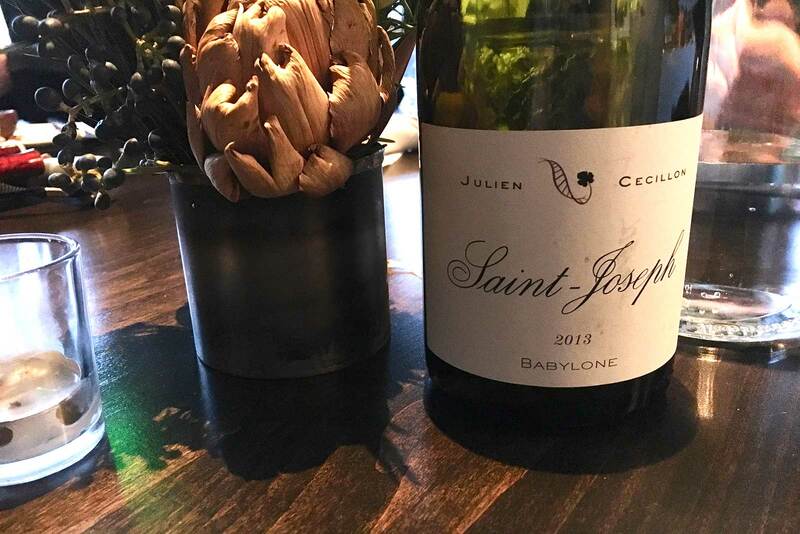 Thanks to the highly curated wine list at Annette Scratch-to-Table, I was introduced to this bottling of Saint-Joseph, a large appellation on the west side of the Rhône River. It was so good, we ordered it three more times as the year went on. Its heady aromas were a swirl of berry patch, violets and cigar box. Bonus points for being so lithe and supple — traits not often found with Syrah — which gave it added versatility at the table. Why it’s an important wine: Because a great yarn can actually be a great wine. 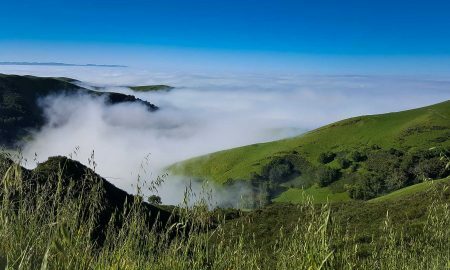 One of my favorite e-newsletters comes from The Rare Wine Co. Each issue shows up with an in-depth narrative on a winemaker we should all know about, but in many cases, do not. Such was the newsletter that arrived in my inbox on March 16. 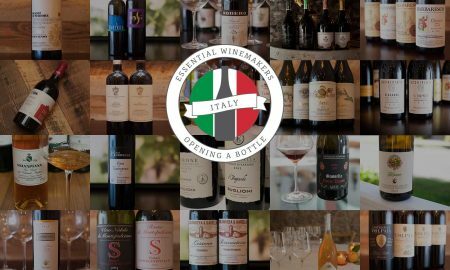 It told of a reclusive Italian vintner named Antonio Pulcini, whose winery features a 2,000-year-old cellar on the outskirts of Rome. 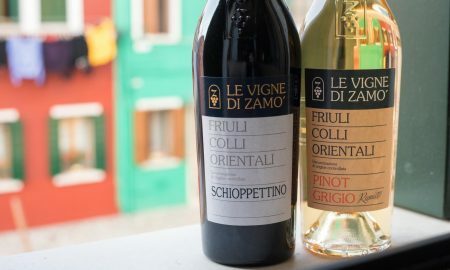 The ancient indigenous grapes he works with are Malvasia del Lazio and Grechello, and he has never exported, preferring to sell the wines out of his cellar door … until now. I’ll admit to being a sucker for good wine narratives like this. Considering that the three pack of aged vintages from Pulcini was selling for $180, I went for it. When the bottles arrived, the difference in color between the 1994, 1995 and 1998 was dramatic: from glowing olive green to deep amber. So far, I’ve only had occasion to drink the 1995 and the 1998, and of the two, the 1998 is much better, conveying far more energy and life than the tired 1995. On the nose, it brought to mind crême brulée, vanilla beans, white flowers and willows overlaying a layer of lemon-like citrus. But most noticeable was the sensual finish of roasted almonds. A supple, subdued and pleasant wine from a hidden place. 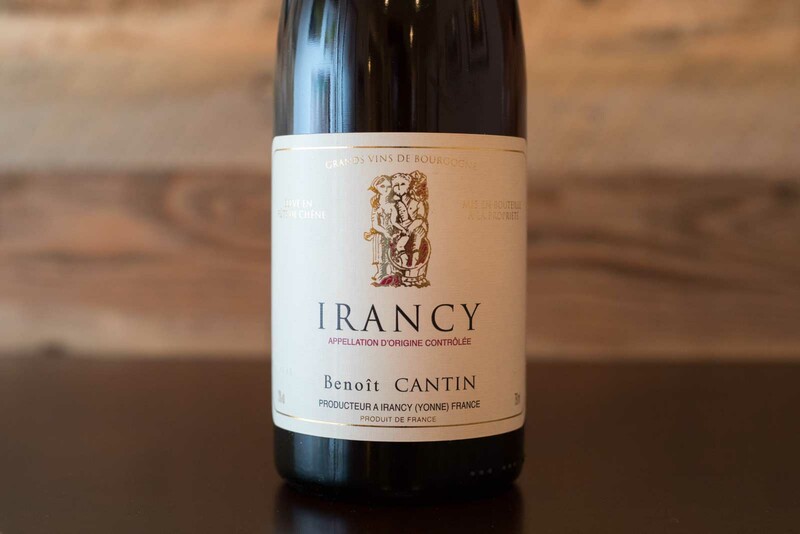 Importer: The Rare Wine Co.
Why it’s an important wine: Further evidence that thrilling red Burgundy at a value price can be found. Not all of these wines were fussed over at an elegant meal (though most were). Take for instance, this wine: I drank it with my wife in a roadside hotel room in El Jebel, Colorado while our kids ignored dinner and had a pillow fight. Even in the hotel’s tiny, chunky-shaped wine glasses, I could tell it was something special. So I went back to the liquor store and bought another bottle for home. The second tasting confirmed: it’s a dandy. The tiny village of Irancy is detached from all of the famous names in Burgundy. In fact, it is halfway between Paris and the Côte d’Or, and it shares the same soil type as nearby Chablis. 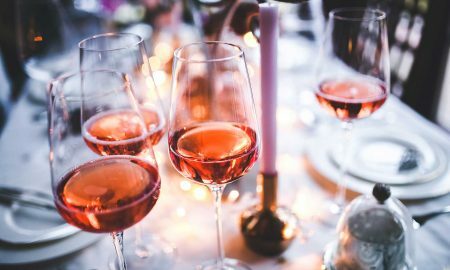 Its red wines are made from some of the most northerly Pinot Noir vineyards in France (only Champagne is further north), so the complexion leans more toward savory elements and away from fruit concentration. But the fruit is still there, at least with this bottle, and it was lovely on the nose: it reminded me of farmstand cherries in the summer, as well as kirsh, dry autumn leaves, nutmeg spice and roses. Bonus points go to winemaker Benoît Cantin who harvests his own wood from a local forest to make his own barrels for aging the wine. So if you’ve done all your holiday shopping on Etsy because you like supporting crafty people, hunt this wine down and put it under the tree. Why it’s an important wine: Because the dark side of Sicilian wine is silky and gorgeous. 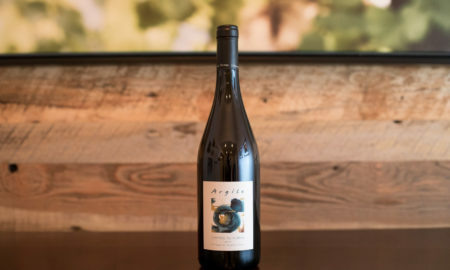 Azienda Agricola COS makes some of the most interesting, surprising and unpredictable wines in Italy, and the Nero di Lupo certainly demonstrates this. 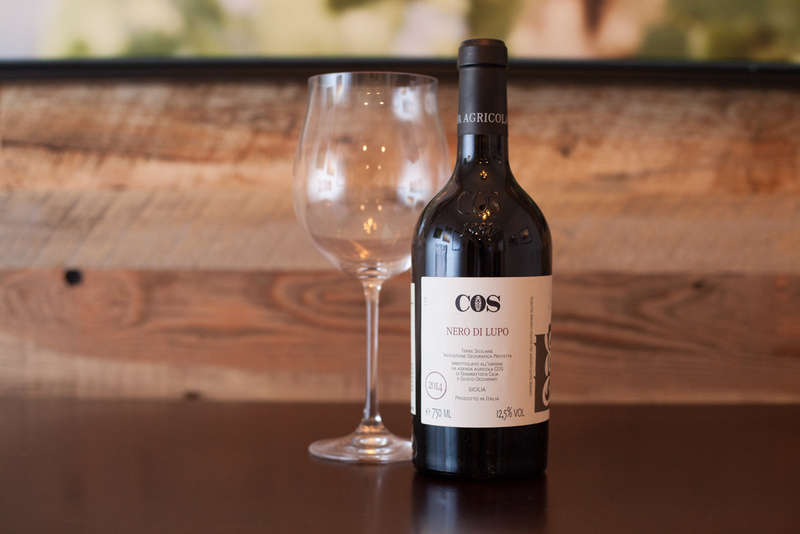 Made from Nero d’Avola, this low-alcohol wine is lean and exciting throughout. 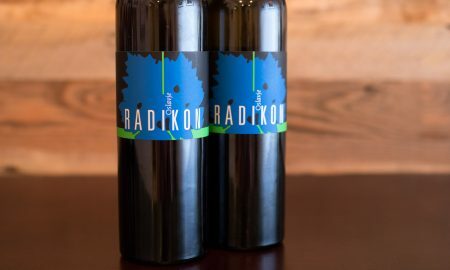 The fruit tones are deep and dark (think blueberries and prunes with a trace of smoke and dried meat), yet the body is paradoxically light and airy. It was so lean and delicious, I had to deliberately slow myself down between sips. 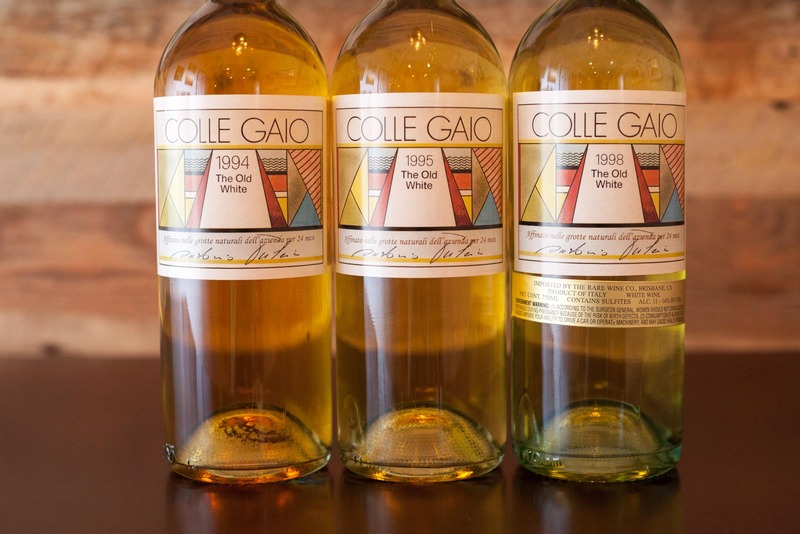 Aged in concrete tanks, the wine has little coarseness on the palate, and again, this speaks to versatility at the table. 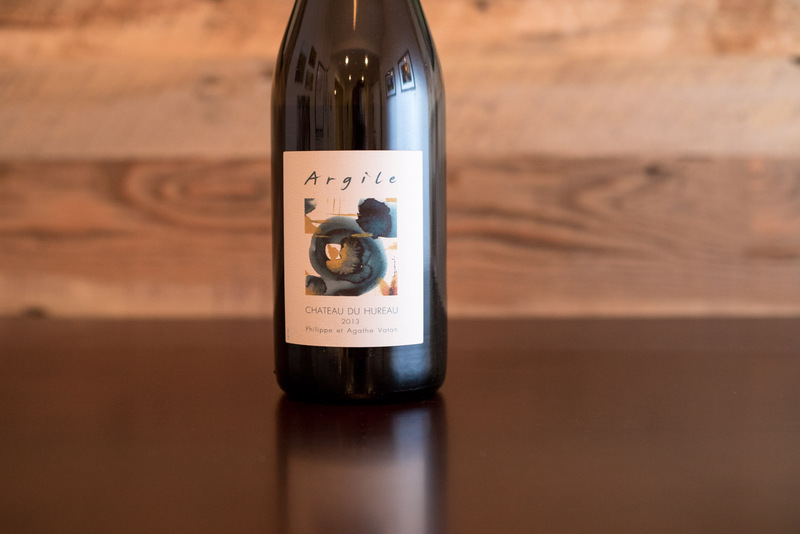 File this one under “Red Wines You Can Serve With Fish,” and keep an eye out for other wines from Azienda Agricola COS. Their bottles are unmistakable on the shelf. 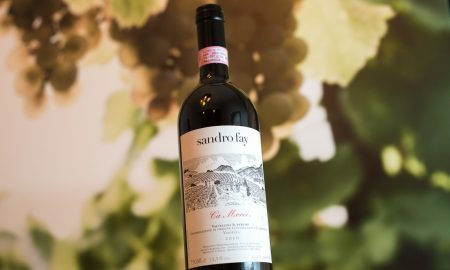 Why it’s an important wine: Because Barolo really hits its stride at the 10-year mark, and you don’t have to wait around for this one. 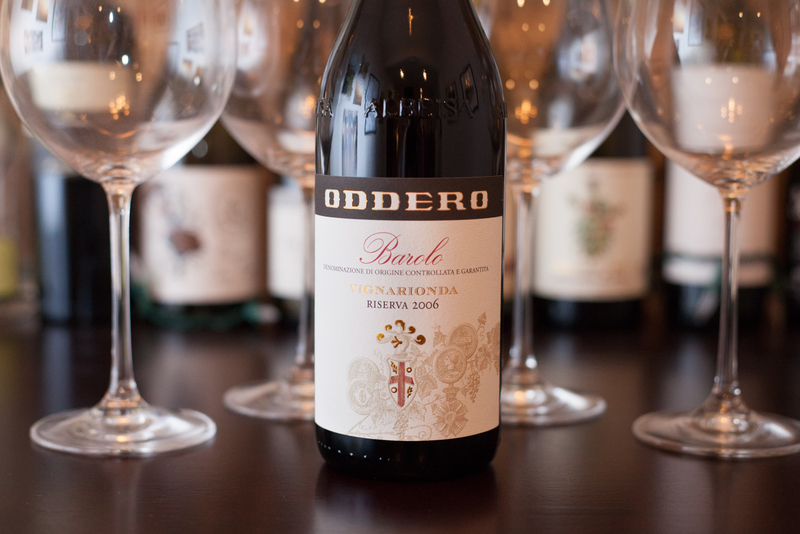 If you are planning on enjoying the latest vintage of Barolo tonight, you might want to decant it before breakfast. In fact, if you want to see what its really made of, store it in a cool place until 2023. That’s because Italy’s most iconic red wine only reveals a fraction of its detail in youth. This is especially true of Barolo that are made in the traditional way with long maceration times and large oak-cask aging. Naturally, this presents a problem: but I want to drink a Barolo now! The Oddero family of La Morra seemed to have taken this into account when they decided to only release their Riserva-level wines from the Vignarionda vineyard after three years in oak (by regulation) and seven years in bottle (only one is required). Upon release, its ready to pop and pour and reveal what aged Barolo is really about. It was powerful yet elegant, complex and intensely aromatic, and miles long on the finish. This last trait seems to be a hallmark of Oddero’s wines. Though, even with 10 years of age, you might still want to decant it a few hours before serving (it can wait until after lunch!). Why it’s an important wine: The greatness of Chardonnay demonstrated. Domaine Leflaive is legendary. Located in the tiny hamlet of Puligny-Montrachet, the small domaine produces one of the world’s most sought-after white wines from the esteemed Montrachet Grand Cru. To buy a bottle, you’ll need a spare $7,000. 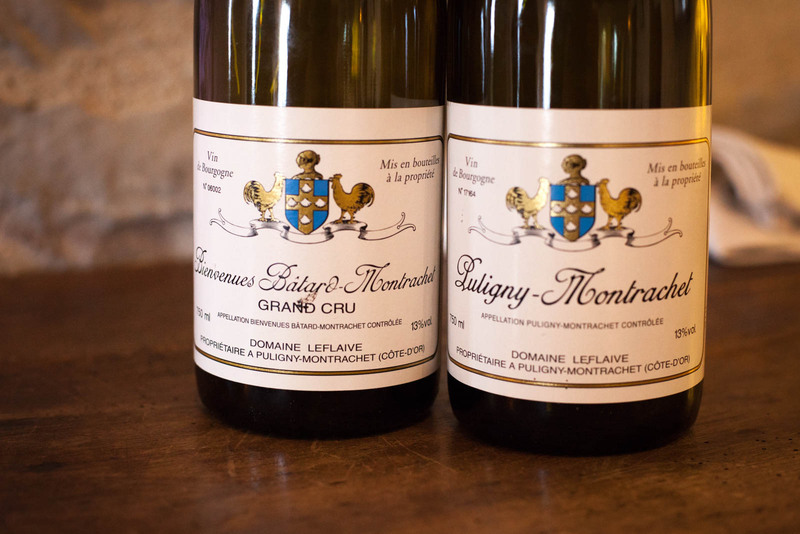 At that rarified price point, Domaine Leflaive might seem irrelevant to most of us. Yet somehow, in early April, I found myself standing inside the domaine with its new winemaker Pierre Vincent, who had only taken over the post three months earlier. And there he was, placing various tastes of the 2015 vintage into my glass, ranging from Les Pucelles Premier Cru to Chevalier-Montrachet Grand Cru. It was like working your way across the piano keys from one wine to the next, the same tone but different levels of resonance from the Chardonnay. Over lunch, Pierre brought a bottle of the village white (Puligny-Montrachet) and the 2010 from the Bienvenues-Bâtard-Montrachet Grand Cru (despite the three parts in the name, this is one vineyard). With a dish of hay-smoked pigeon and roasted sunchokes (you know: my usual Tuesday lunch) the Bienvenues-Bâtard-Montrachet was radiant yet it had the softest touch. In my notes I wrote at the top “Chardonnay in whispers.” On the nose, it conjured a mood that was equally spring (flowers) and fall (dried leaves), and the acidity seemed to accelerate with each sip. Pierre Vincent has enormous shoes to fill with his first vintage, and truthfully, I might never sip a Domaine Leflaive wine again, let alone one of the Grand Cru (the 2010 Bienvenues-Bâtard-Montrachet goes for $550). But it makes the list because it lived up to the hype. If you are presented with the chance to taste a rare white Burgundy, do it. You will learn something about power in those whispering notes. Why it’s an important wine: Because it’s the perfect summer red wine. Yet this Sicilian red blend — comprised of 70% Frappato, with 30% Nero d’Avola for depth — had a lot more to say as the night went on, and it became more and more unique with each sip. There were notes of sour cherry and scraped-out vanilla bean one moment (yes, vanilla bean despite its fermentation in concrete), wild strawberry and freshly tanned leather the next, and an acidity that was as nimble as they come. Every bite of food was improved. It paired well with a summer’s night. Compared to many of the other fantastic Vittoria wines I had been drinking of late — many of them Cerasuolo di Vittoria DOCG wines, which call for at least 50% Nero d’Avola and a minimum of 30% Frappato — the SP68 Rosso demonstrated greater depth on the palate and greater length on the finish, and a cheery mood throughout. Arianna Occhipinti is the niece of Giusto Occhipinti of Azienda Agricola COS winery (see wine No. 6). 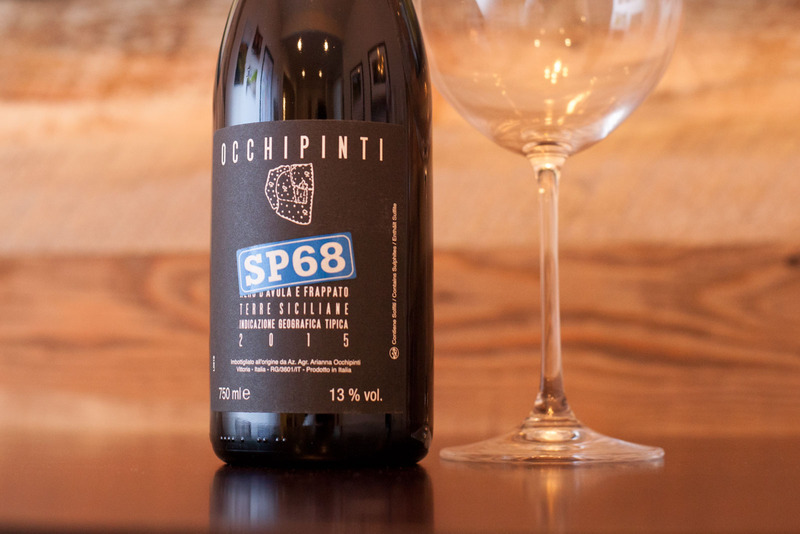 There will be more coverage of her wines in 2018, because they’re all as irresistible as the SP68 Rosso. Her story is worth telling. Why it’s an important wine: Because (a) we should all be drinking more wines from Valtellina, (b) ARPEPE is easily one of Italy’s best winemakers and (c) this expression of Grumello’s terroir is so utterly fascinating. It has been said that we are living in a Golden Age for wine, where the bell curve of technology has intersected with the ancient ways of embracing terroir. We can enjoy more fine wines from more far-flung locations than ever before. And yet, I am constantly reminded that wine is a relentless, unforgiving business and that the temptation to cut corners is all too real. Which makes ARPEPE and its glorious, terroir-driven Nebbiolo wines so remarkable. Climbing into the steep Rocca de Piro vineyard this October, I was throttled by the fact that most wines from the Valtellina region are the result of back-breaking labor. If there was ever a vineyard where cutting corners could be forgiven, Rocca de Piro was it. But ARPEPE doesn’t cut any corners. They go all in. 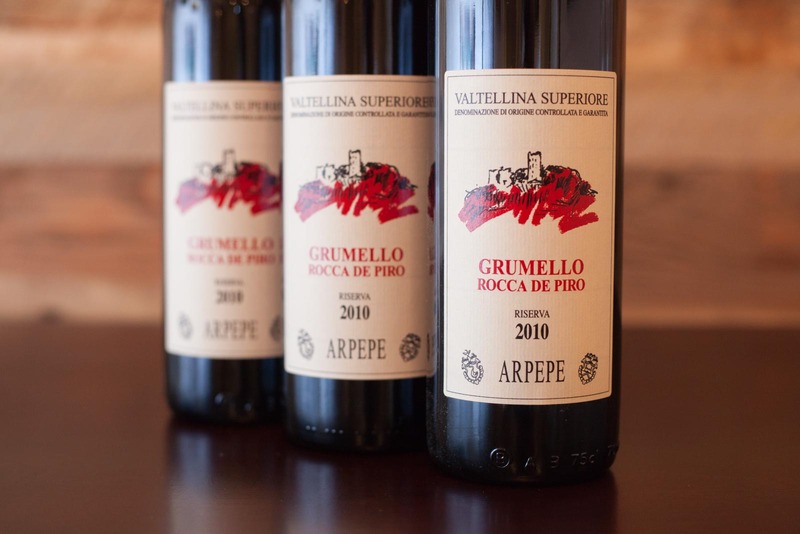 Simultaneously, I was reminded of my first taste of ARPEPE’s wines earlier in the year, when I served a bottle of the “Rocca di Piro” Valtellina Superiore Grumello Riserva from this very site to my family. It left an indelible mark in my memory: a Nebbiolo with equal weight of cherries and roses, black licorice and earthiness, and a faint hint of sweet graham cracker on the finish. It was clearly made with care. From the vineyard, enologist Isabella Pelizzatti Perego led us to the tasting room, and a funny thing happened: every single wine we sampled — from the 2014 Rosso back to the 1996 Valtellina Superiore Sassella Riserva called “Rocce Rosse” — struck me as new, exciting, unusual and expressive. 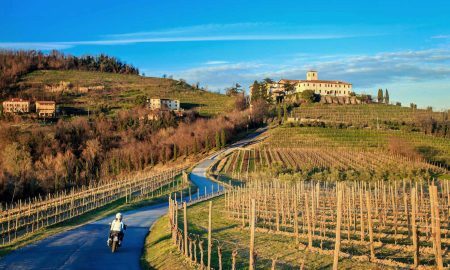 How is it that year-after-year, the Pelizzatti Perego family can manage such precision and beauty in their wines, when the margin for error in those steeply pitched vineyards is so narrow? I’ll never know, nor do I need to. I want to say “it is just magic” and leave it at that. 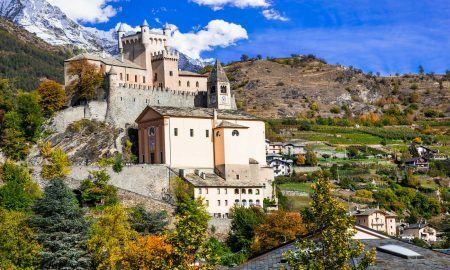 The Rocca de Piro isn’t even their best wine, but its the one I had by the bottle with a meal this year, and its the one that convinced me to add their little winery in the Alps to my Italian itinerary this fall. A mixed case later and I can now savor ARPEPE’s wines for many years to come. They’re likely to end up on future iterations of this list. Hopefully, they’ll be on yours, too. Why it’s an important wine: Because aged Champagne acts like an extra dinner companion. 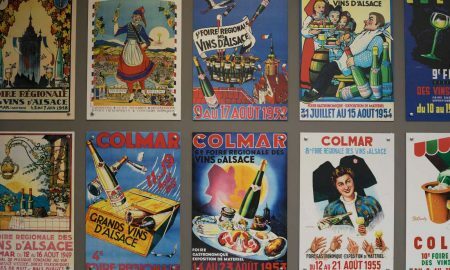 It may be unfashionable in 2017 to list a wine from one of the large Champagne houses as the top pick for the year. “Wait, Champagne Gosset is not a ‘grower Champagne,'” my hipster subconscious says. True, they’re not, but their willingness to hold back vintages for extended aging on the lees — in some cases, up to 12 years — means that their wines are in a unique class. Devoting that kind of space and energy to vintage Champagne is a difficult equation for many Champagne houses, let alone growers. It is also worth noting that it was a very different scene in Champagne in 1998, the year this wine began its journey. Growers didn’t make their own sparkling wine at the time, at least not in any notable quantity. So if you come across an aged vintage Champagne, odds are its from one of the houses. The juice may have been 19 years old, but its behavior reminded me of man in his prime. It poured out of the bottle knowing that a first impression was important: a firm handshake of bubbles that commanded eye contact. But then it settled down and kept a low profile — at rest, maybe two or three beads rose to the surface at a time. A young man would keep talking, eager to impress, but a man in his prime might bite his tongue and only speak when he has something to say. And with my first sip, this wine had plenty to say. What it conveyed were notes of fig, apple pie, citrus, walnut and bitter black chocolate, and yet it was perfectly adaptable to a roast of pork in Espagnole sauce. Before that magnum of 19-year-old wine showed up, I enjoyed Champagne. After a couple glasses, I loved Champagne. This is a class of wine worthy of future studying, food pairing, cellaring and exploring. 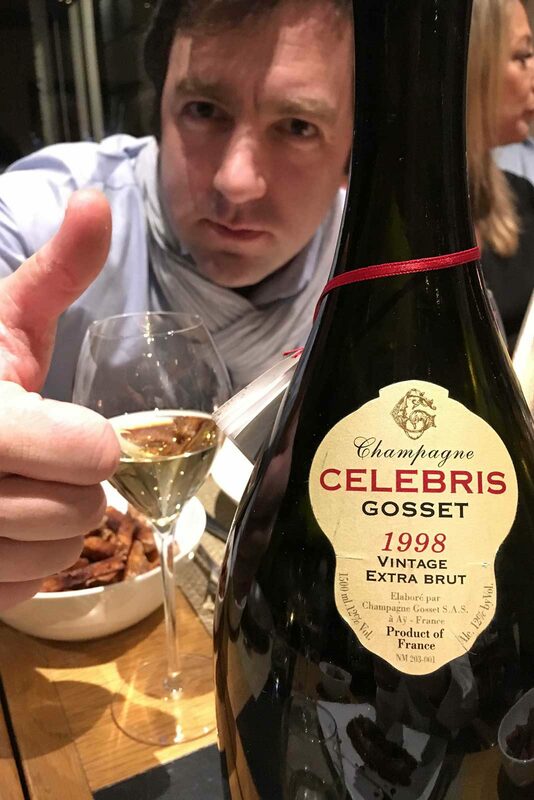 And maybe 19 years from now I’ll have a grower Champagne at the top of the list, but for now, 2017 will be about this bottle of Celebris. These are the best wines I sampled away from a meal. Some were barrel samples of wines not yet released, others were taster pours at wineries or trade events, still others are just a single glass of wine served at a restaurant. All of them are worth seeking out, though be forewarned: the ones from Domaine de la Romanée-Conti are some of the most expensive wines on earth. Read more about why this winery matters. Forget Perfect Pairings. Just Enjoy.